Your Local Franklin County Flooring Professionals! We do professional installation of hardwood, laminate , any type of engineered wood. Provide painting services, interior and exterior. Now reside in Columbus, Ohio and serve Dublin, Worthington, Hilliard, Clintonville and Westerville areas. Columbus Garage Floor Coating is the premier installer of polymer and epoxy floor coatings. We install beautiful floors on any concrete surface, this includes garages, porches, covered patios, sun rooms, and basements. Wenthur Flooring LLC is owned and operated by Keith Wenthur. Keith has been in business for 12 years and has consistently provided quality craftsmanship at affordable prices to both residential and commercial customers in Columbus and surrounding areas. 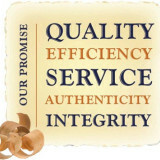 *Authorized Bona Certified Craftsman* Our mission is to provide our clients with the highest quality and variety of services available in the ever-changing industry in the tradition of hardwood flooring. We are the second generation of a work ethic founded in trust, communication and, most importantly, teamwork. It is our hope that when your job is completed, we will continue to be of service to you, our client and friend. We serve residential and commercial clientele, whether it be new flooring installation, sanding or refinishing. Our showroom is a Mohawk ColorCenter which means you will have the largest selection of the hottest products in a very easy and organized environment to shop in. Trust, Satisfaction, and Commitment is exactly what you should expect and exactly what you will get. Nothing less is acceptable with us... "You are only as good as your last job." Thats why you will only find Quality products at Lavy's Carpet Sales & Service. We make sure all of our customers are extremely pleased with their decision. Our installers are courteous, helpful, and knowledgable. We also offer many financing options for your convenience. 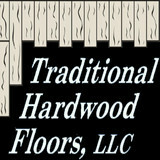 Tee's flooring is a family owned business proudly serving Central Ohio since 2005. Installation of hardwood, tile, carpet, fiberfloor and more. Mr. Felix Floor, Inc, is the most trusted and reliable hardwood floor contractor in Columbus and Central Ohio. Mr. Felix Floor, Inc. provides full service of hardwood floor design, hardwood floors installation, hardwood floors sanding, hardwood floor refinishing, hardwood floors restoration and repair. We also install marble flooring, ceramic tiles, engineered flooring. Mr. Felix Floor Inc. is the recipient of numerous prestigious Customer satisfaction, quality, reliability and safety awards. These awards in customer service are a tribute to our mission and mindset of putting customers first. Variety Floors of Carroll is owned and operated by Doug Kunselman. Doug began his career as an installer in 1977. Panel Town and Floors has been serving Central Ohio for more than 3 decades. Our Columbus store location is near downtown and just south of Grandview Heights. Founded in 1967 in Dayton, Ohio. The family-owned and -operated business began with paneling and other building materials. Over the years, Panel Town became Panel Town & Floors as floor covering materials became more of the focus. In 2006, we made the transition to strictly Laminate and Hardwood Flooring. Our trained staff are experts in this area and are eager to answer any questions that you may have. We completely remodeled our showroom to display many different styles of laminate and hardwood flooring. A huge variety of samples are displayed for a side-by-side comparison, making it easy for our clients to browse at their leisure, and find precisely the flooring they desire. Panel Town & Floors sells unfinished and pre-finished hardwood flooring from the leading manufacturers in the industry. Stop in and see the thousands of options that are available to you. Panel Town & Floors also carries the best laminate flooring products on the market. It's what we know, it's what we do and we do it well. Hallmark makes it easy and affordable for you to enjoy the look and comfort of a home renovation project. Whether your kitchen or bathroom, living room or office, tile or hardwood, cool aloe or flamingo pink, LED or CFL fixtures - Hallmark can lend a hand. We assist you in selecting the best products for your needs and provide installation services within days of your purchase. Need help finding a high quality and affordable flooring option? We work with our preferred vendor, Hallmark Flooring (based out of Columbus, OH) to ensure that the price is always right and the quality is always guaranteed from the purchase of the floor materials to the install. Treat for Your Feet is a family owned & operated business. We bypass retail costs by eliminating the massive overhead associated with maintaining a huge warehouse and showroom with paid staff. We Pass the Cost Savings on to You! Once you select your carpet or laminate flooring your order is placed directly with the mill. This is what saves you hundreds of dollars in each room! Courteous Professional Installation In addition to getting the highest quality flooring at the best possible price, you will also be guaranteed professional installation. You should know that big box retailers often use subcontractors to install your flooring and the quality of these subcontractors varies dramatically. 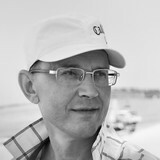 The Owner My name is Pete Palm and I have been in the flooring industry professionally 20 years. Over the years I have accumulated thousands of satisfied customers. Visit my customer Testimonies Page to see what they have to say. Lifetime Craftsmanship Guarantee Treat for your feet's "Lifetime Craftmanship Guarantee" assures you that the workmanship of it's installers will not fail for the entire time that your floor is in your home, and even applies to subsequent buyers. If anything goes wrong with your floor due to installation, it is corrected at no charge. Free No Obligation In-Home Estimate We are so confident that you will be impressed with what we have to offer that we will come out to your home free of charge just to show you our wide range of products and demonstrate to you that you can save hundreds even thousands on flooring with "Treat For Your Feet" carpets and laminate flooring. Dan's Carpet and Laminates started in 1970 and after 45 years we are proud to say that we are still family owned and operated! 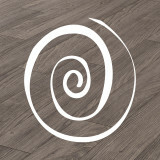 We are committed to providing you the highest quality flooring products and installation. Shop from the comfort of your own home! We will bring samples to your home, measure the job, discuss the products and installation options, and leave you with an accurate quote that we guarantee to be correct. What kinds of services do hardwood flooring installation professionals in Westerville, OH provide? Find hardwood floor experts in Westerville, OH on Houzz. Search the Professionals section for Westerville, OH hardwood flooring installers and dealers or browse Westerville, OH photos of completed installations and look for the professional’s contact information.